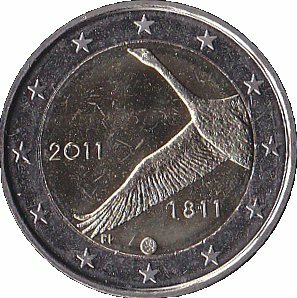 The commemorative coin to mark the Bank of Finland’s 200th anniversary, which was designed by the artist Hannu Veijalainen, depicts Finland’s national bird, the swan. In addition, the inner part of the coin bears the dates “2011”, the year of issue, and “1811”, the year in which Emperor Alexander I of Russia decreed that an “Exchange, Lending and Deposit Office” was to be established in Turku, Finland. It was Finland’s first bank and eventually became the Bank of Finland, which moved to Helsinki in 1819. 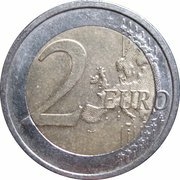 The Bank began to operate as a central bank in the latter part of the 19th century, after Finland obtained its own monetary unit and commercial banks had been established in the country. The coin’s outer ring bears the 12 stars of the European Union.